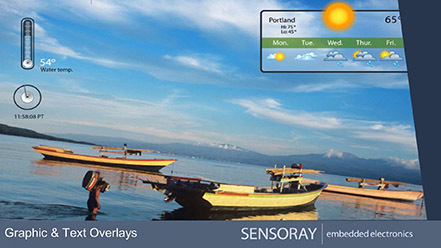 SENSORAY is a leading designer and manufacturer of OEM electronics for video capture, processing and data collection and for machine control. SENSORAY strive for technical excellence , innovation in designing, delivering tools and support customers. SENSORAY offers a wide range of standard, modified, and fully customized solutions for USB, Ethernet, PCI-Express, PC / 104 + and other popular platforms. Founded in 1982, the Sensoray company provides practical, proven solutions with technical support and service.